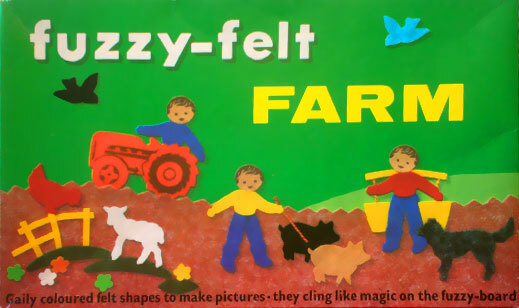 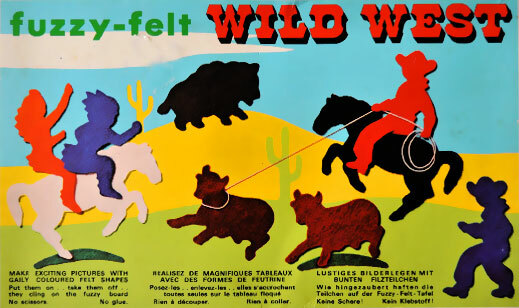 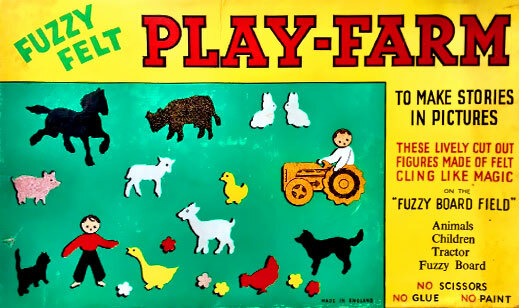 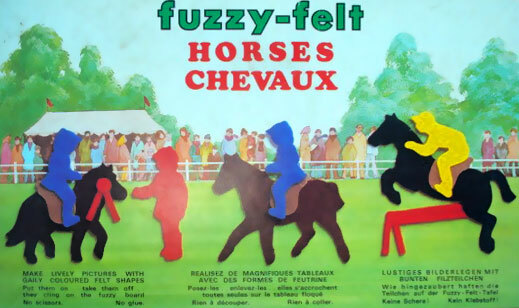 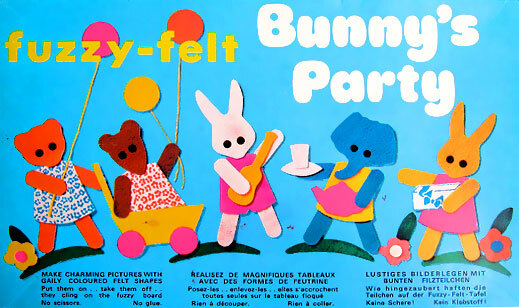 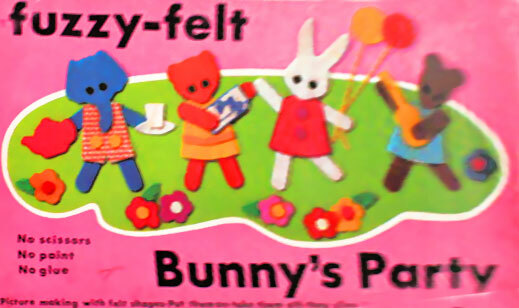 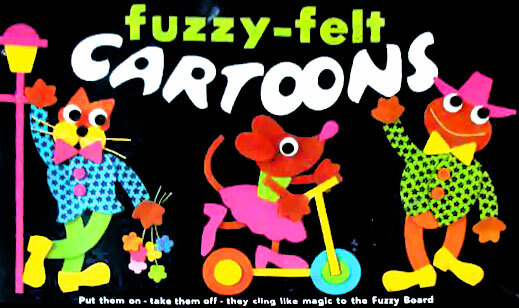 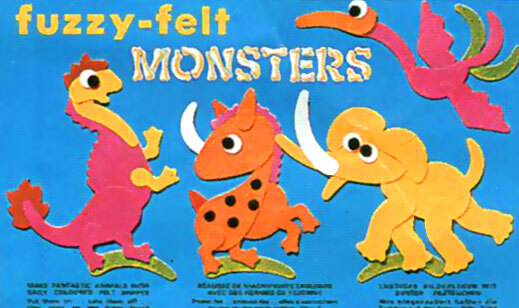 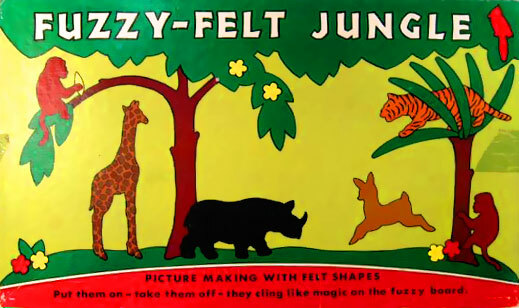 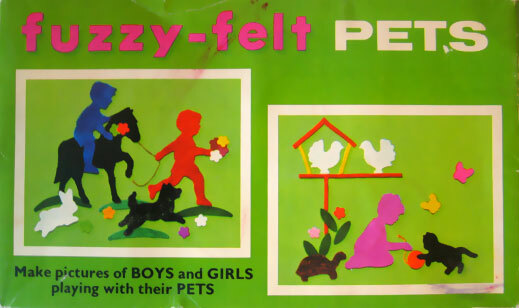 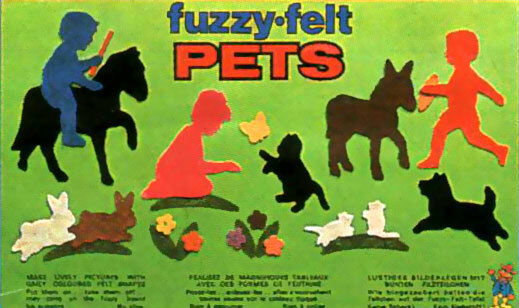 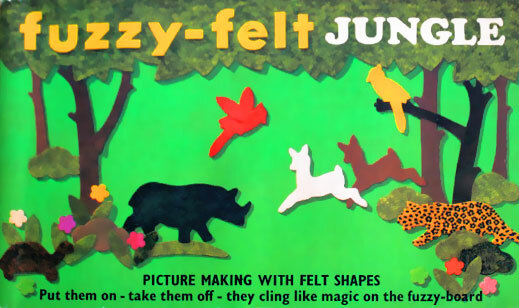 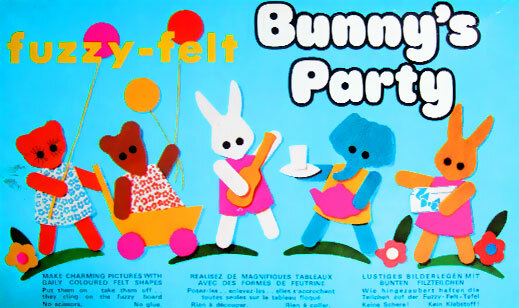 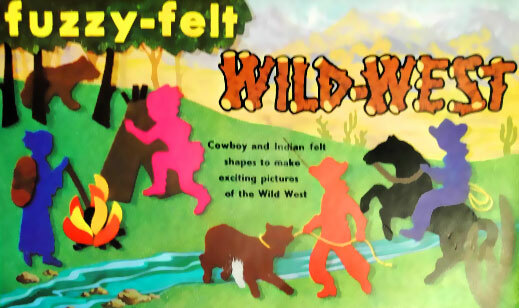 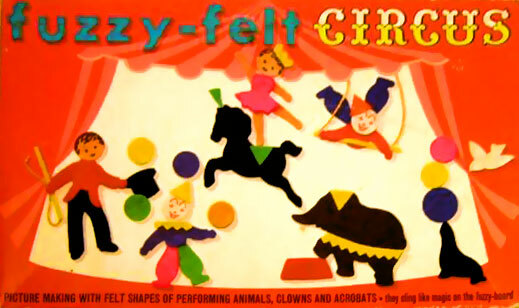 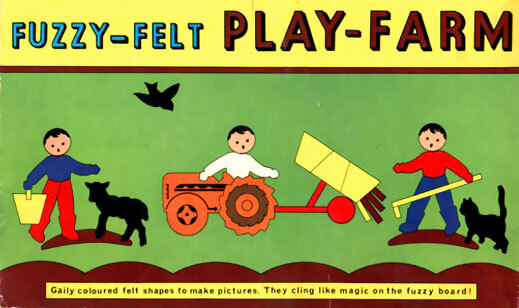 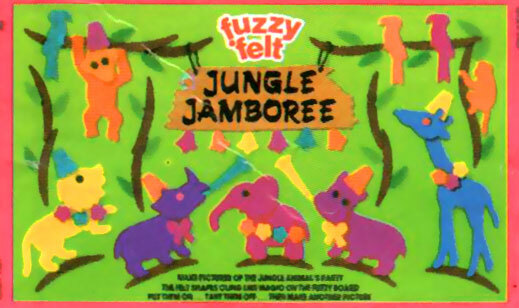 These are the animal-based Fuzzy Felt sets. 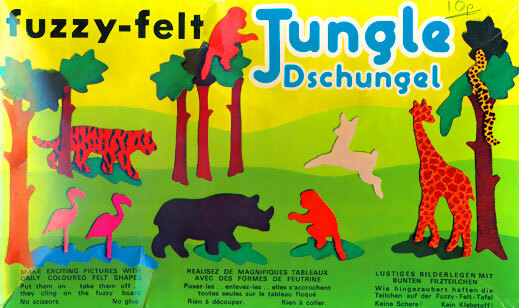 I've also included box illustration variations and leaflets where found. 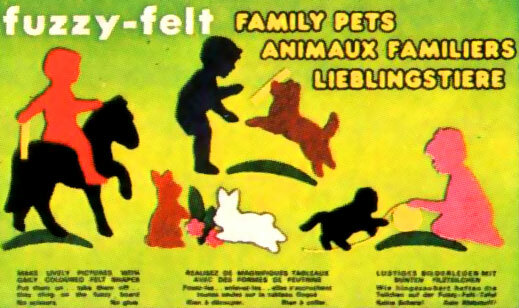 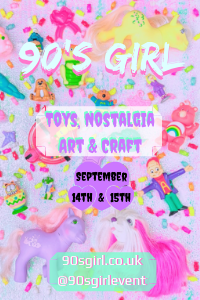 The dates found on the leaflets are when the designs were first released, but not necessarily when each different box design was released. 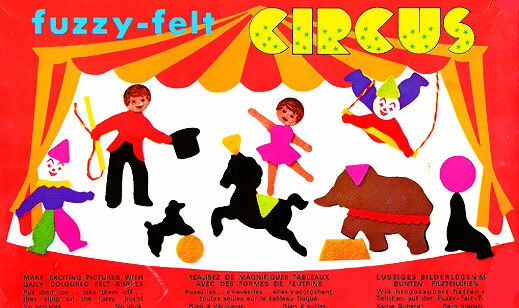 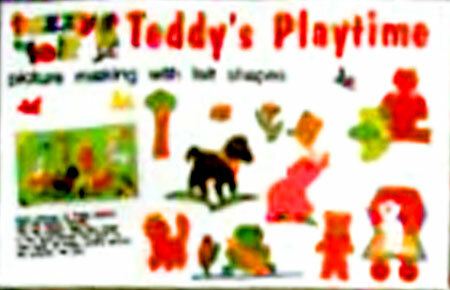 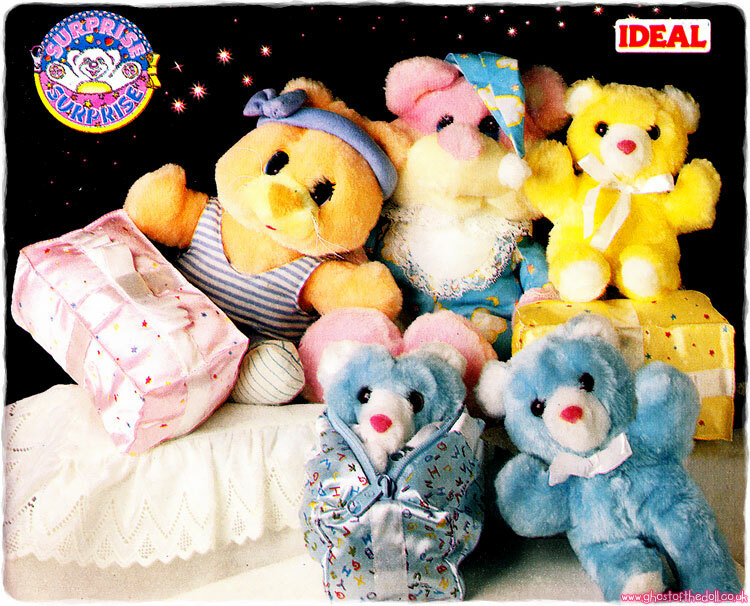 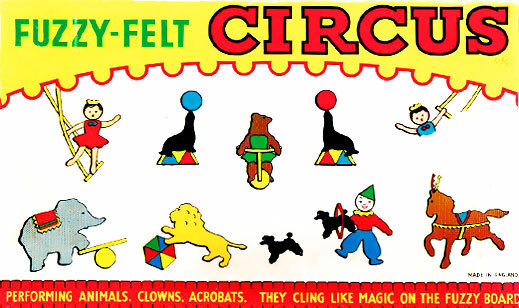 This set was also re-designed in the 1980's with illustrated shapes. 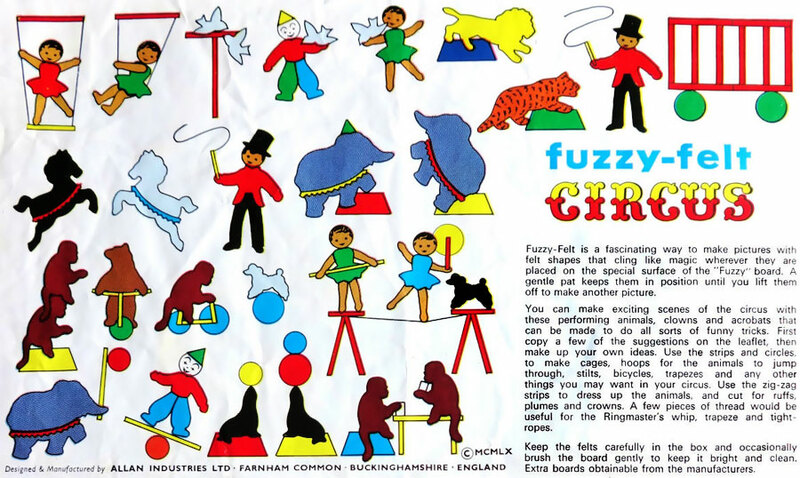 The 1960 version came with a fuzzy board with a patterned boarder and plain tigers, the 1969 version had a plain board and patterned tigers. 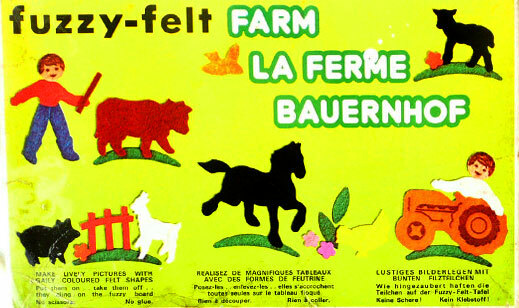 The date 1969 is on the box side, although the leaflets are still dated 1960. 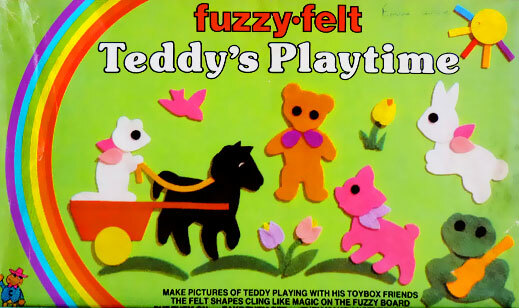 This set was also re-designed in the 1980's with illustrated shapes. 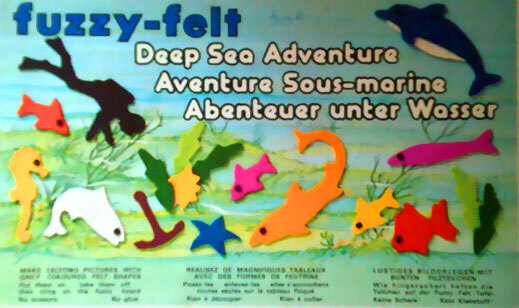 The packaging on the right I have only come across on a leaflet, the packaging on the left is also hard find. 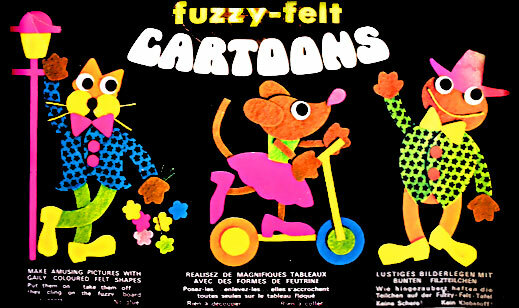 I have yet to confirm it's date of original production but assume late 1970's or early 1980's due to the frog logo on the packaging.